I have two fairly recent-vintage 13” personal laptops that I use primarily for teaching and presentations that I thought would be interesting to compare from some common performance perspectives. 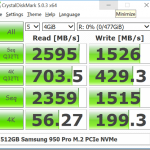 The first one, which is slightly over a year old is a Lenovo Yoga 900, which has a 14nm Intel Core i7-6500U Skylake-U processor, 16GB of RAM, a 512GB Samsung PM871 SATA III SSD, one USB 2.0 port, one USB 3.0 port, one USB-C port and a 3200×1800 touch display. 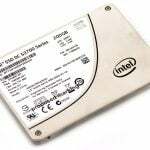 The newer machine is an HP Spectre x360 13-w023dx, which has a 14nm Intel Core i7-7500U Kaby Lake-U processor, 16GB of RAM, a 512GB Samsung SM961 M.2 NVMe SSD, one USB 3.0 port, two USB-C Thunderbolt 3 ports and a 1080P touch display. These Skylake-U and Kaby Lake-U processors are quite similar, with the Kaby Lake having an optimized “14nm plus” process technology that lets Intel set the clock speeds slightly higher at the same power usage levels. Kaby Lake also has improved integrated graphics and an improved version of Intel Speed Shift technology that lets Windows 10 throttle up the clock speed of the processor cores even faster than with a Skylake processor. 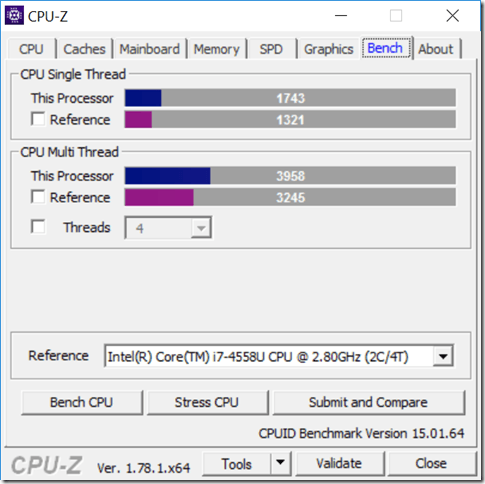 The single-threaded CPU-Z 1.78.1 benchmark result is 18.8% higher with the new system, while the multi-threaded CPU-Z benchmark result is 16.7% higher on the new system. I attribute this increase to the higher base and turbo clock speeds, the optimized process technology, and the effect of the improved Intel Speed Shift. The results are shown in figures 2 and 3. 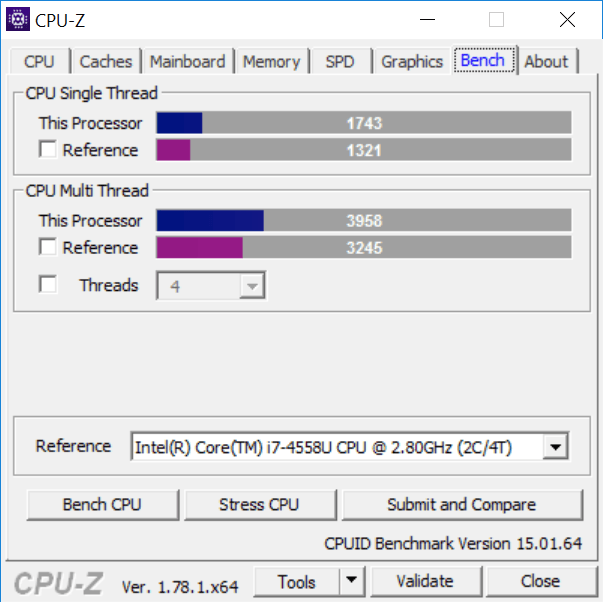 Honestly, these current generational CPU performance improvements are slightly better than nothing (but not much), and are certainly not a good enough reason to upgrade from an equivalent Skylake-U system to a Kaby Lake-U system. Where we see a big improvement is with basic storage performance and peripheral connectivity between these two systems. 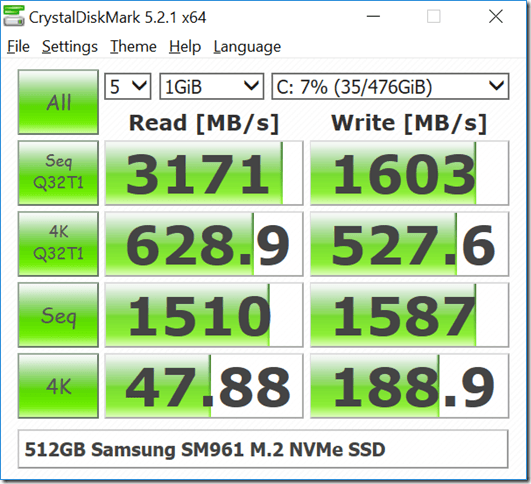 I was happily surprised that the new HP system came a very fast 512GB Samsung SM961 M.2 NVMe OEM SSD that is equivalent to a Samsung 960 PRO. 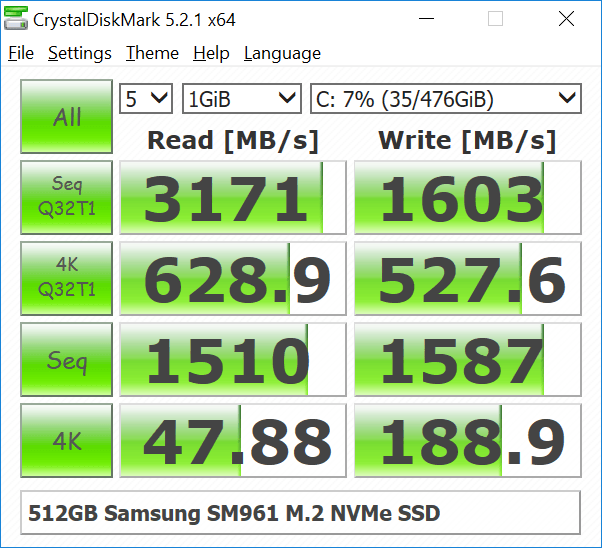 The reason I was surprised was because some reviews I had read indicated that these HP machines had a much slower Samsung OEM M.2 NVMe SSD. This probably varies by when your machine was manufactured, so perhaps the earliest review machines had the older, slower drives. 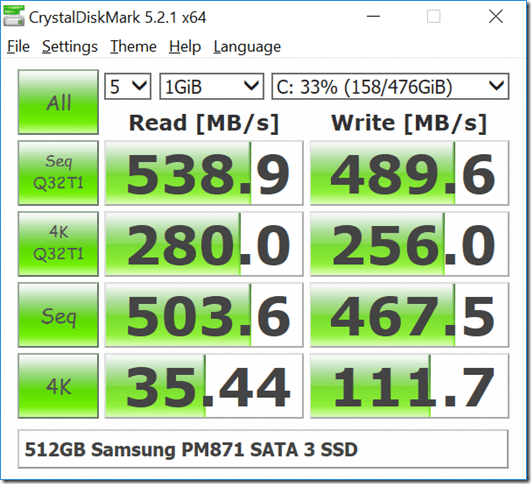 As you can see, the difference in the CrystalDiskMark performance between these drives is pretty dramatic. 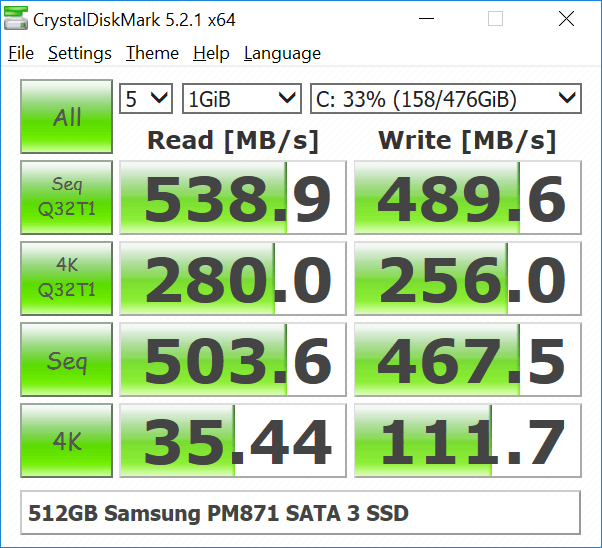 For day to day average PC usage, you probably won’t really notice the difference between a fast SATA 3 SSD and an M.2 PCIe NVMe SSD, but if you are using SQL Server on a laptop, having that extra sequential bandwidth and much better random I/O performance is really noticeable. It is also very nice to have Thunderbolt 3 support, which will allow you to have really fast transfer performance to an appropriate external drive. 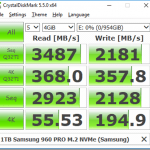 So the moral of all this is that the best reason to consider upgrading to a new laptop or new desktop machine for many people are the additional storage and peripheral connectivity options that you can get with a new machine.